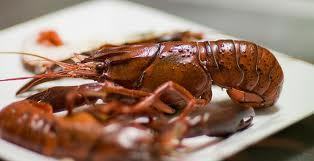 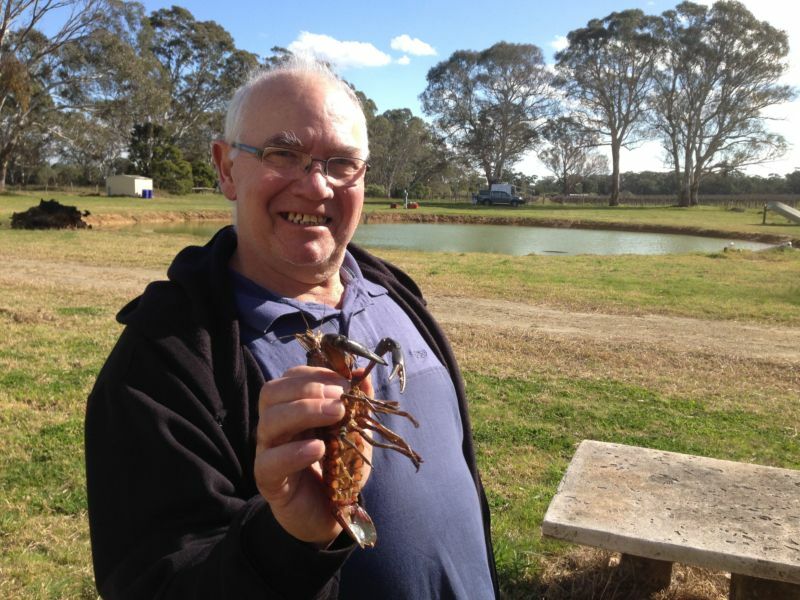 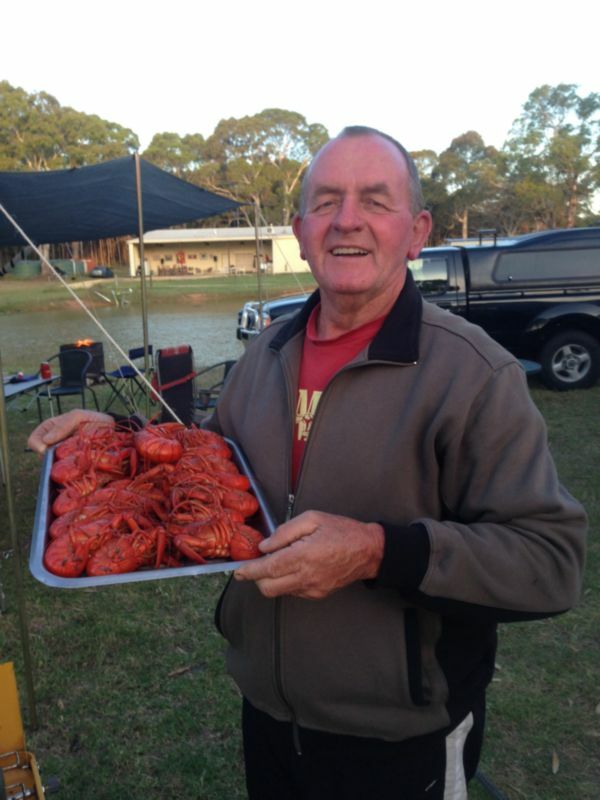 Marron are a freshwater crayfish, like a yabbie but with more meat and smaller claws. 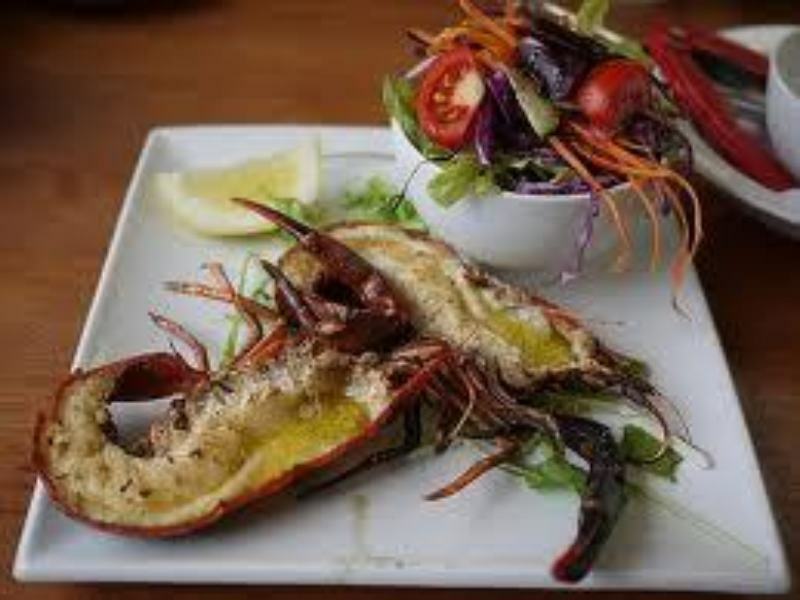 They evolved in Western Australia, then appeared on Kangaroo Island where we got them from. 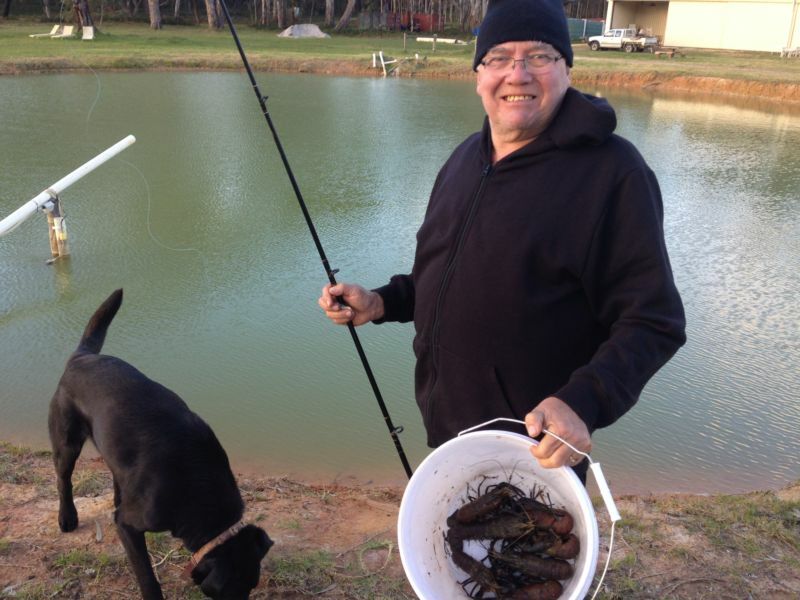 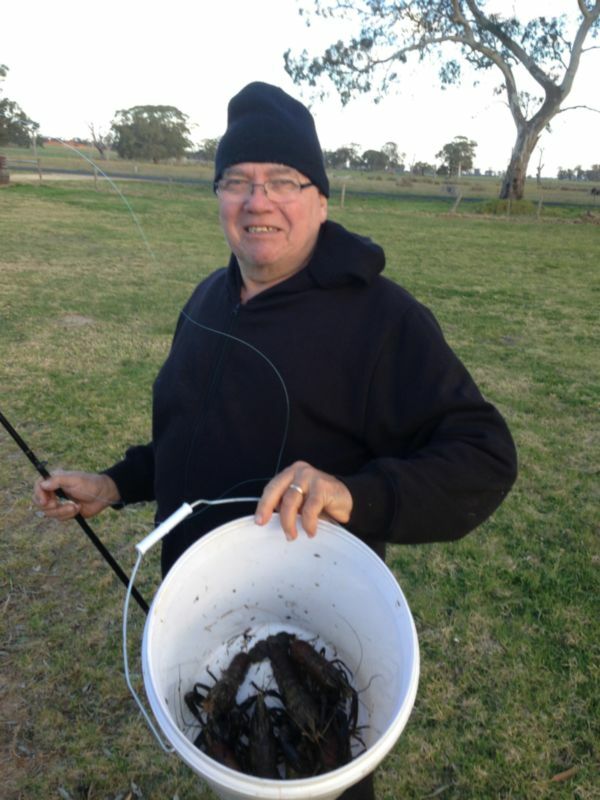 The dam is stocked with marron and you are allowed to catch them most of the year (May 1 - November 30). 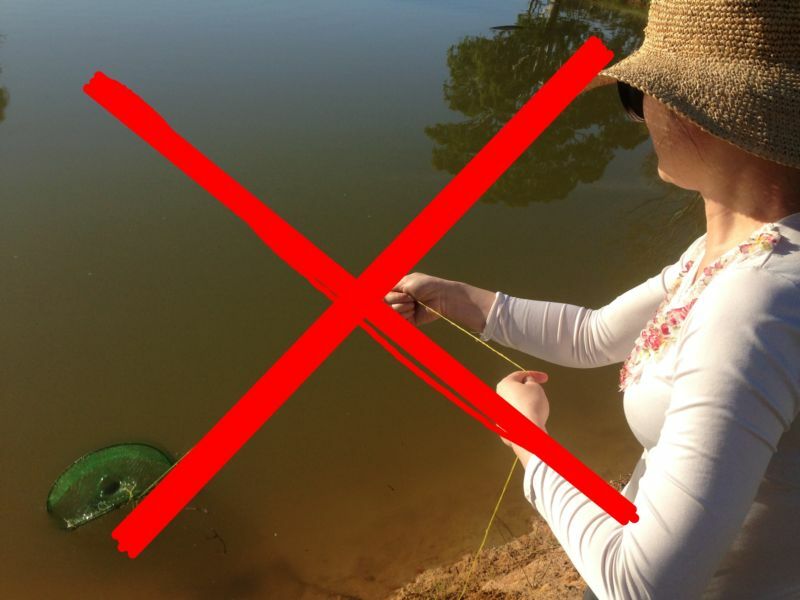 No hooks or nets can be used, and a bag limit of 2 per site applies. 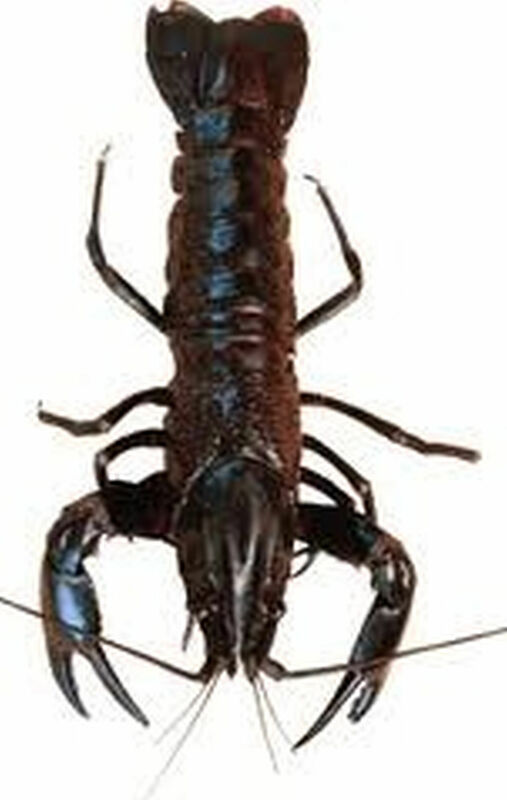 The best technique for catching marron is to use string (like butcher's string) with a small piece (2cm x 2cm) of lamb or steak gristle attached. 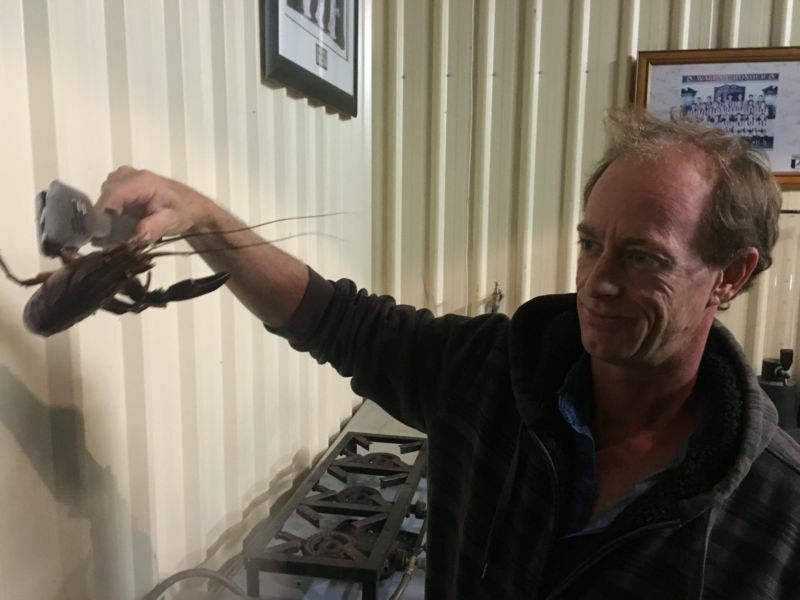 The marron grab the gristle and try to take it away - you gently pull them towards you until they are 45 cm away from the surface and then pull at 45 degrees to your left or right - they loose their footing and you have them! 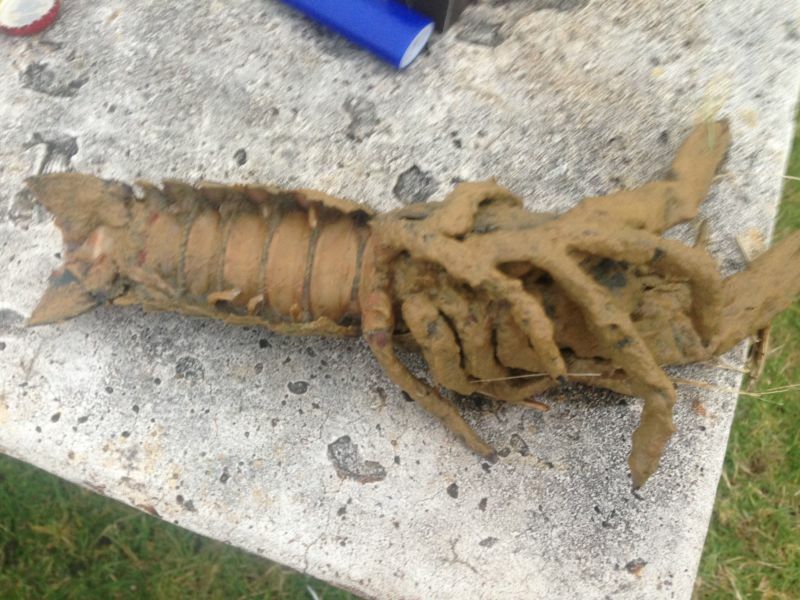 The marron often get overtaken by a fungi that looks like carpet and it eventually strangles them, so we have to clean this fungi out every year. 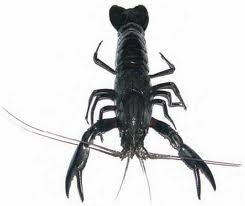 Also they grow slowly and we have to carefully manage the population in the dam. 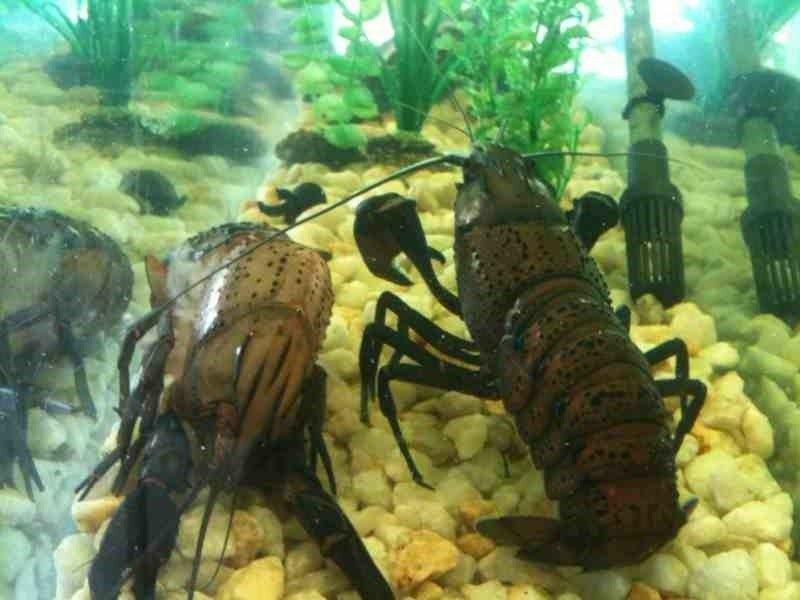 So respect the marron - they are our magnificant pets!